When our boys were little we did our best to make sure that their toy choices were gender-neutral and non-violent. That was all the rage then (and it may still be). 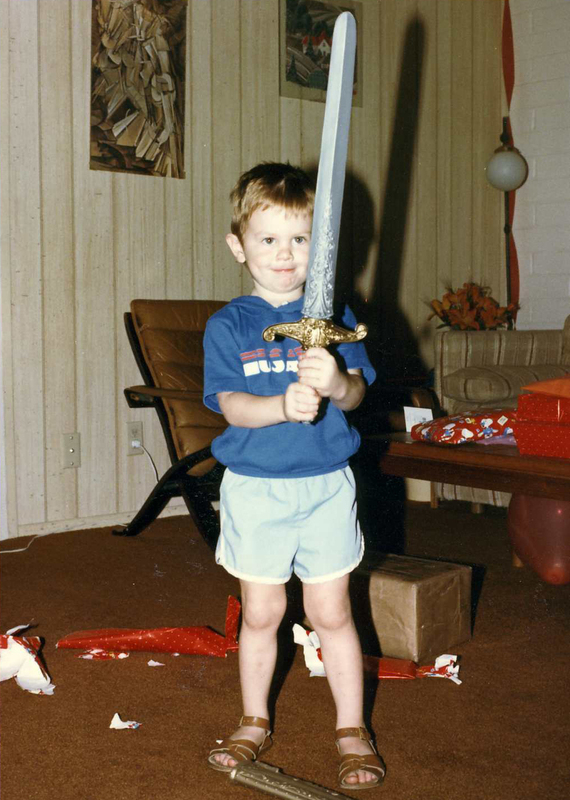 They each had a baby doll and/or stuffed toy that they loved a lot – but they also made guns out of anything they could find until we gave in and armed them with pop guns… and swords (it was the time of He-Man and Skeletor after all – see Chris, below). After a few years I realized that boys and girls are not interchangeable toy-wise and just went with it. 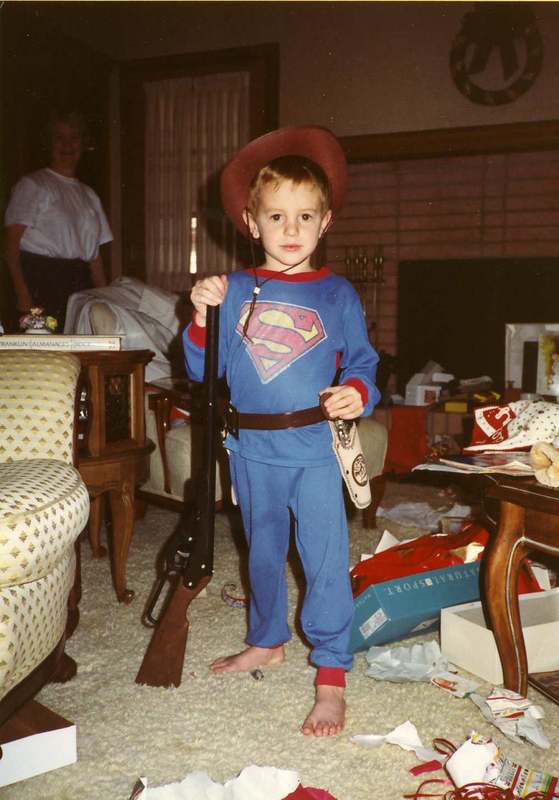 Jeff was more into Superman and cowboys – all at once. My grandson, Jack, is all boy and he is already fully armed but truth be told he likes trucks more than weapons (usually). Especially fire trucks. 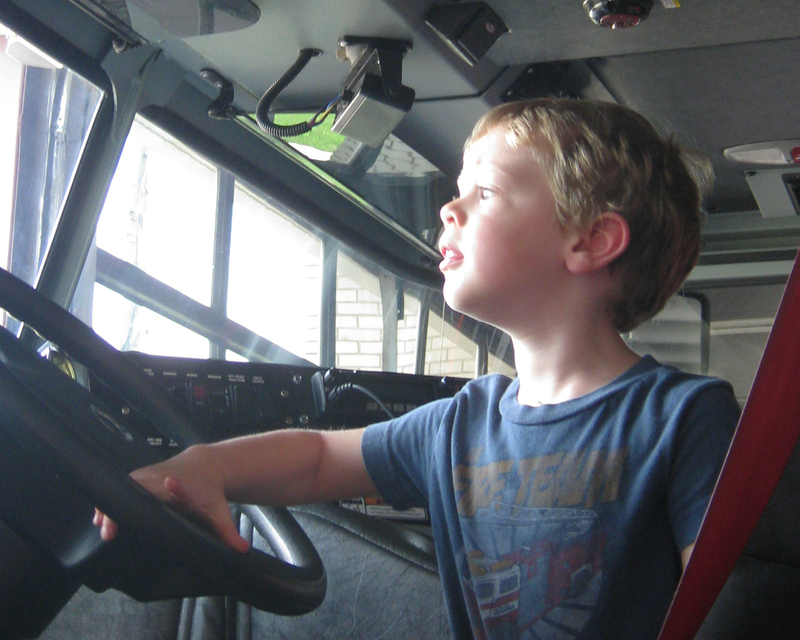 This afternoon I took him to the Sherman Fire Station and he got to see the big ladder truck – and sit in the driver's seat! In Sherman, if the doors are up you are welcome to come in and visit. An exceptionally nice fireman showed Jack and Elanor (who was with us and sort of interested) the trucks and the lights and all the cool stuff. They got fire hats which Jack prefers to wear backwards. He didn't wear it in the truck. 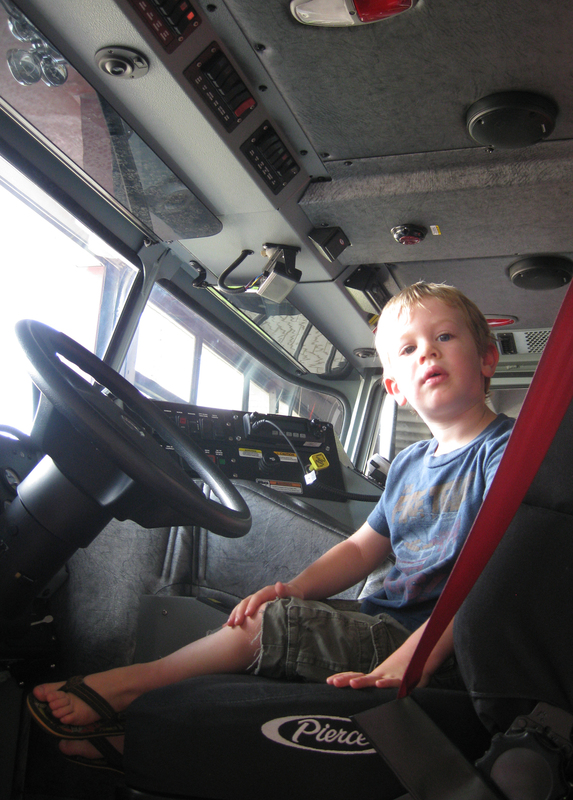 Jack enjoyed the real fire trucks and then he was ready to go buy the toy fire truck that I had promised him beforehand. It's good to be home and doing 'Nana' things! Oh what fun! Joy, joy! That beautiful little boy looks like he is having the best time. Funny how boys gravitate to certain toys even though as mothers we try to stretch their toy horizons. My eldest son just loved cars and trucks when he was little and quite often fell asleep on hos cot with a car in his hand. Isn’t being Nana just the best! I do indeed love being Nana!